UPDATE: Due to winter storms, this show has been postponed from Saturday, January 19, to Friday, January 25. All ticket buyers received an email notification on Jan. 19 about this change. All original tickets are still valid for the new show date. If you previously bought tickets and cannot make the new show date, call our box office to request a refund. Hailing from Boston, Mass, the city that boasts the World Championship Red Sox, The New England Patriots, the musical groups Boston, members of Journey, J.Geils, and Peter Wolf, Godsmack, of course Aerosmith. Adding to the subculture of this city is Draw The Line the Aerosmith Tribute Band. The bands career, now spanning almost fifteen years, has taken them all over the world. The band has performed in all but two U.S. states. They have also been to Peurto Rico, the U.S. Virgin Islands, and other U.S. territories. They have toured to other countries such as England, Canada, South America and Japan just to name a few. With over 2000 performances in over 100 cities, Draw The Line is sure soon to be in a venue near you! 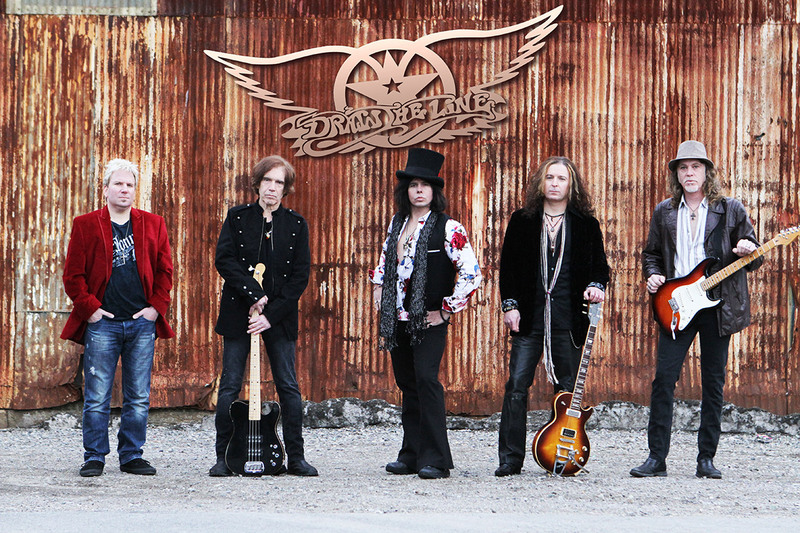 If you love Aerosmith, this is the tribute show you don't want to miss!